Last Friday, the owners of Tutto Pronto, on Avenue Road, invited me and a guest to try the menu in celebration of their 10th anniversary. 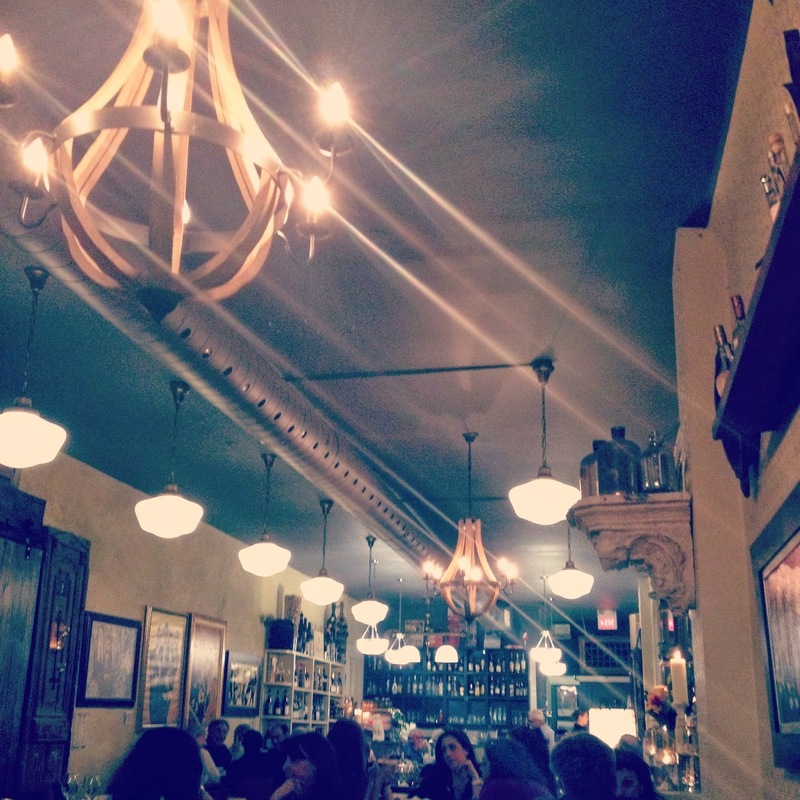 I had never been to Tutto Pronto before, but I LOVE Italian food - so I was excited. The name Tutto Pronto in Italian means "everything is ready", which is well-suited for this establishment because not only do they offer the sit down dining experience, they also have a retail store. Sometimes, you just don't have the time to prepare a nice dinner, but why should that stop you from enjoying one in the comfort of your own home? 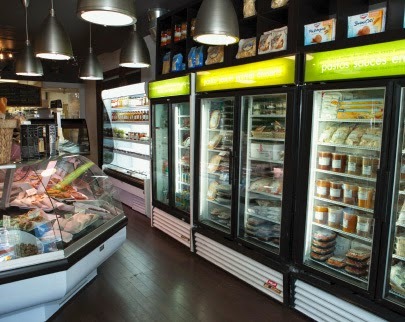 All the fresh items in Tutto Pronto's retail store are prepared DAILY. 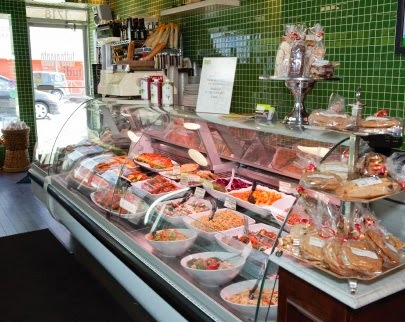 You could stop in for lunch if you are in the area, or pick up a prepared dinner for a night in, Tutto Pronto offers a number of selections in their retail store. They also over catering! 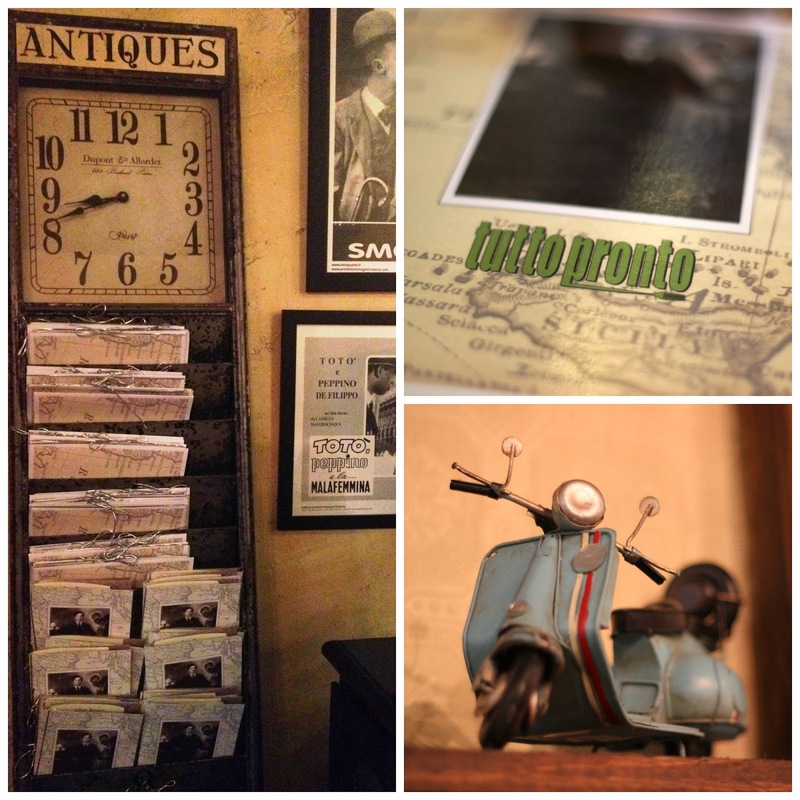 One of the first things I noticed when we got to Tutto Pronto was the ambiance. The restaurant had little knick-knacks all over, with gorgeous art work on the walls. 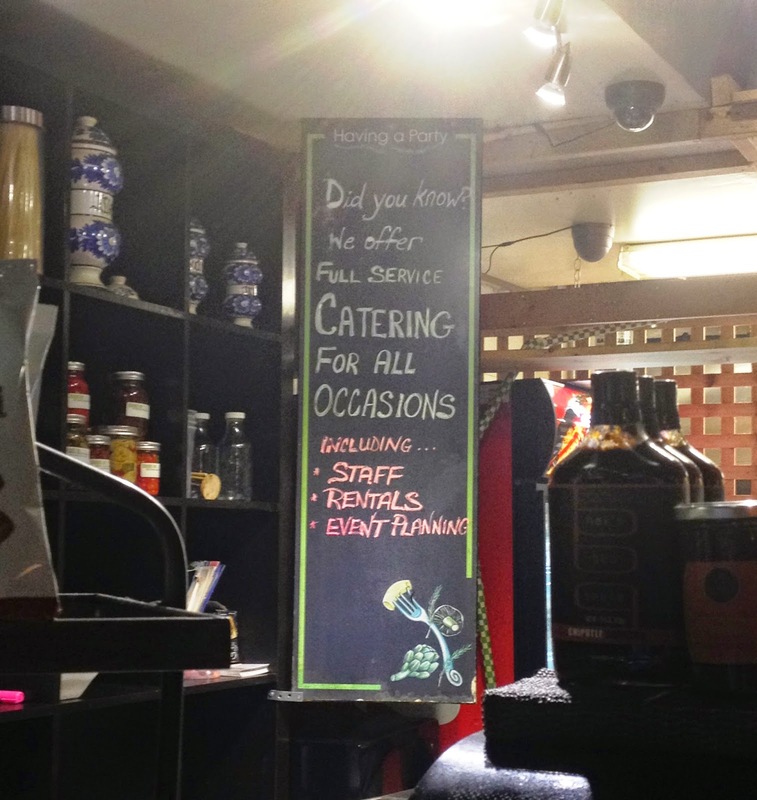 The staff were friendly and helpful when we had questions about the menu. Tutto Pronto is north of the downtown core, and we could immediately tell there were quite a few regulars there. The staff even knew them by first name! However, they treated everyone else with the same great service. It's things like this that I always notice, as I have a background in the hospitality industry. Having a great, friendly, informative staff is something that will keep customers coming back...and of course, the food has to be good! And boy was it ever good at Tutto Pronto! 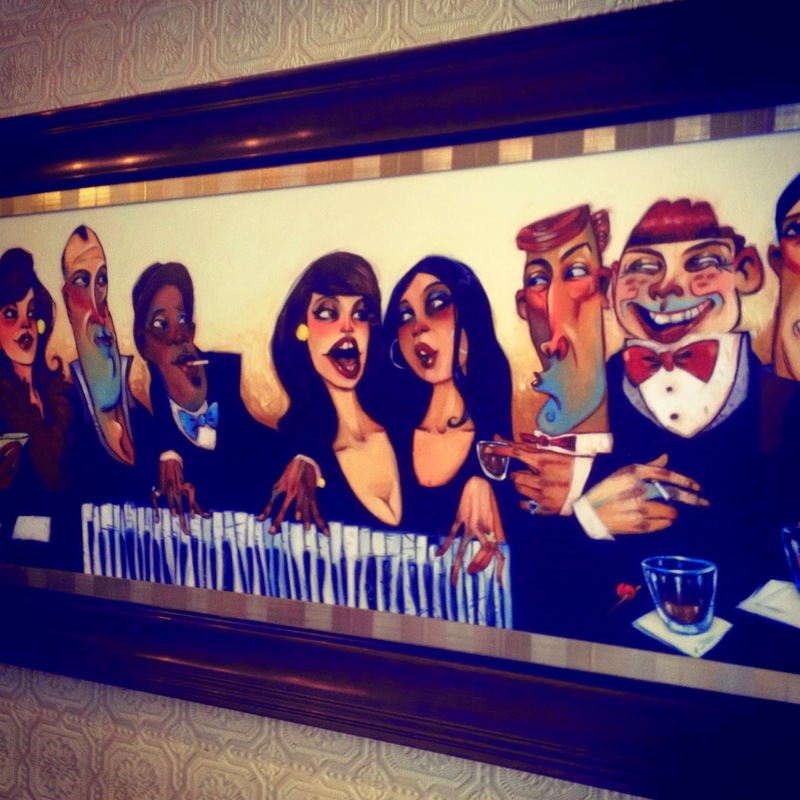 FUN FACT: The art work on the walls are all pieces made by the original creator of SpongeBob! Wall Art by the original creator of SpongeBob! Our meal started off with a couple glasses of wine, obviously, and a few appetizers. We ordered the Asparagus and Portabello Salad, as well as the Calamarri alla Griglia (Grilled Calamari). We debated on whether or not to order the Calamari Fritti (Fried Calamari), and the waitress surprised us with the dish anyways! 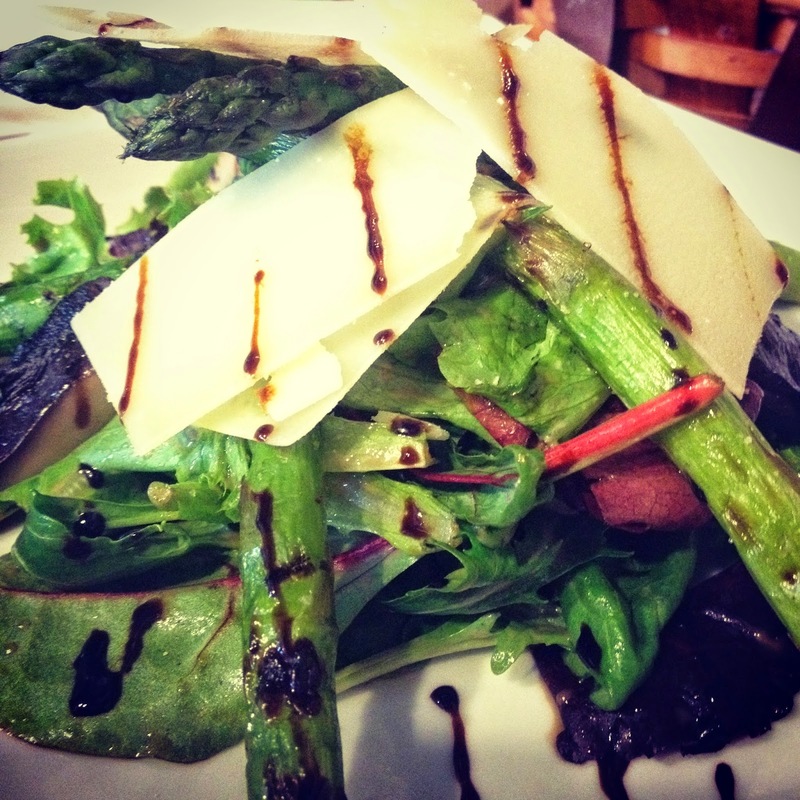 The Asparagus and Portabello Salad was delicious, served on a bed of mesclun lettuce with shaved Parmigiano and a white truffle vinagrette. 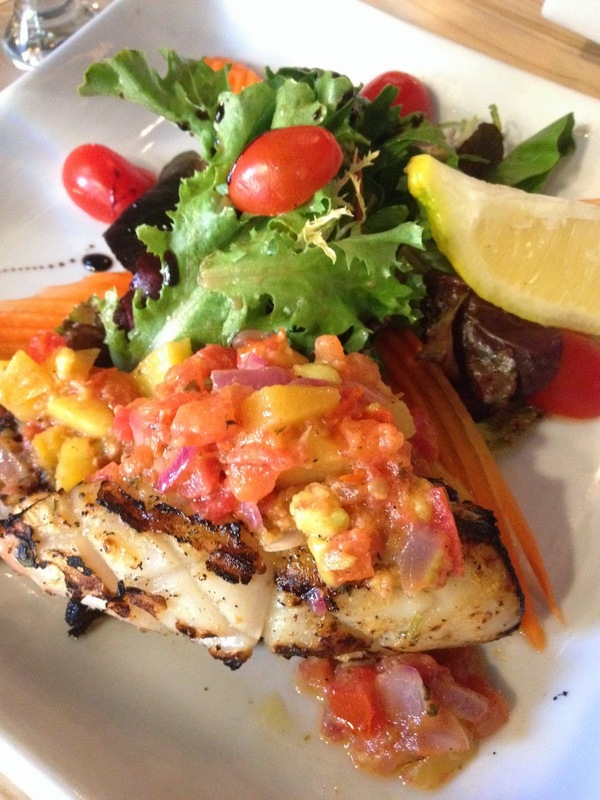 The Calamarri alla Griglia was cooked perfectly and served with a lovely mango chilli salsa. It was a perfect combination. This was only the second time I had tried calamari, and I couldn't stop nibbling at the Calamari Fritti! It was so tasty! Perfectly fried, without too much batter. Next up, it was time for our main courses. If you know me, you know I LOVE pasta! So, of course, I ordered the Orecchietter Pugliese. 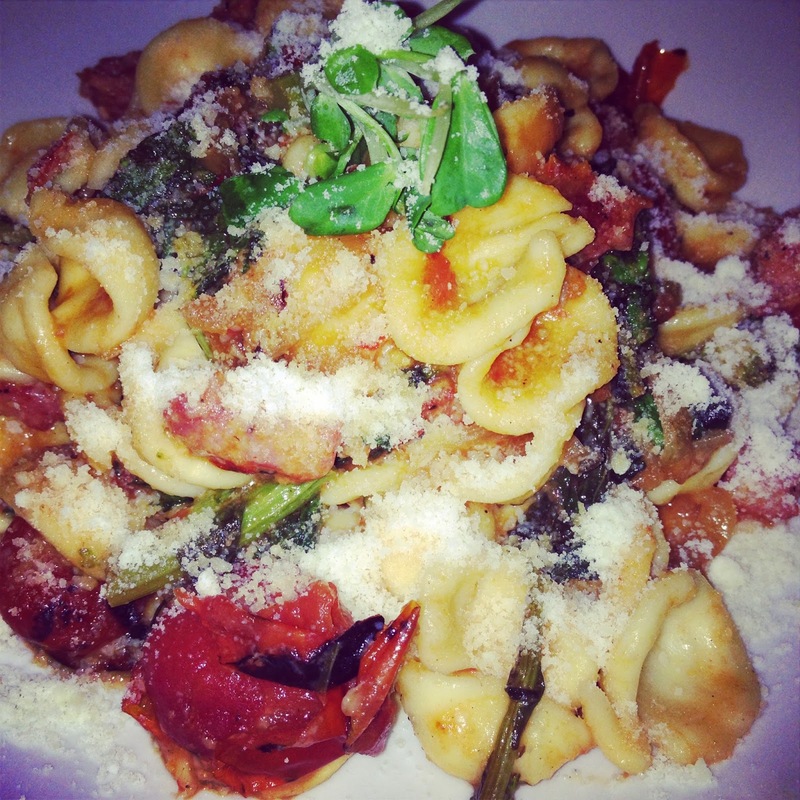 This pasta was served with Italian sausage and rapini with pomodorini and pecorino cheese. As well, we put a lot, a healthy amount of Parmigiano cheese on table-side. The other main dish ordered was the Grilled Veal Chop. HOLY SMOKES. This 14 oz, grain fed, Ontario bone in chop was "melt-in-your-mouth" delicious. 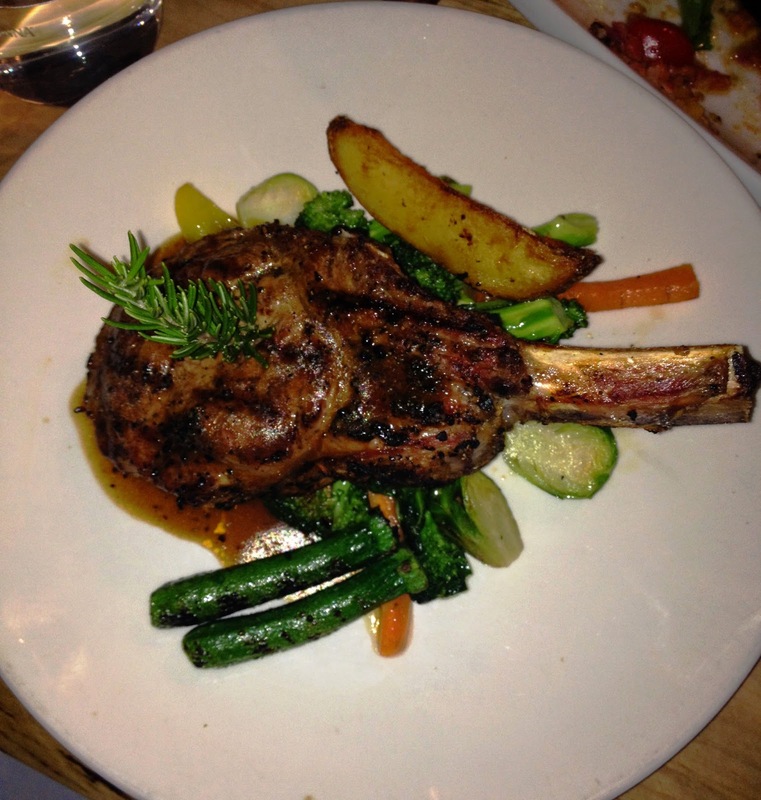 Perfectly cooked, and served with seasonal vegetables - this veal chop was so delicious. It was tender, and juicy - not at all over-cooked, which often happens with veal. To say the least, it was an impressive dish! Somehow, some way, we still had room for dessert. 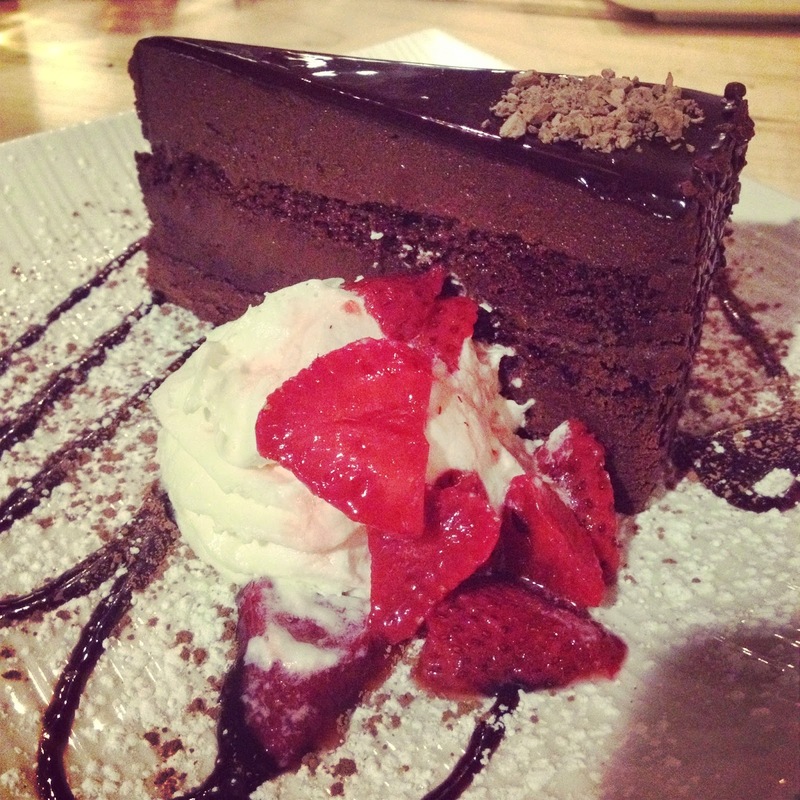 As our waitress said, "You can never say not o chocolate!". So, we ordered the chocolate cake...and pistachio cheesecake. DON'T JUDGE US! As we were eating the desserts, I commented to the waitress how delicious the strawberries served with each were, and she pointed out that they are drizzled with Cognac! No wonder they were delicious! The chocolate cake was moist and not overwhelmingly sweet. As for the pistachio cheesecake - I had never heard of that combination. Have you? Either way - it is worth ordering if you ever see it on the menu, especially at Tutto Pronto! 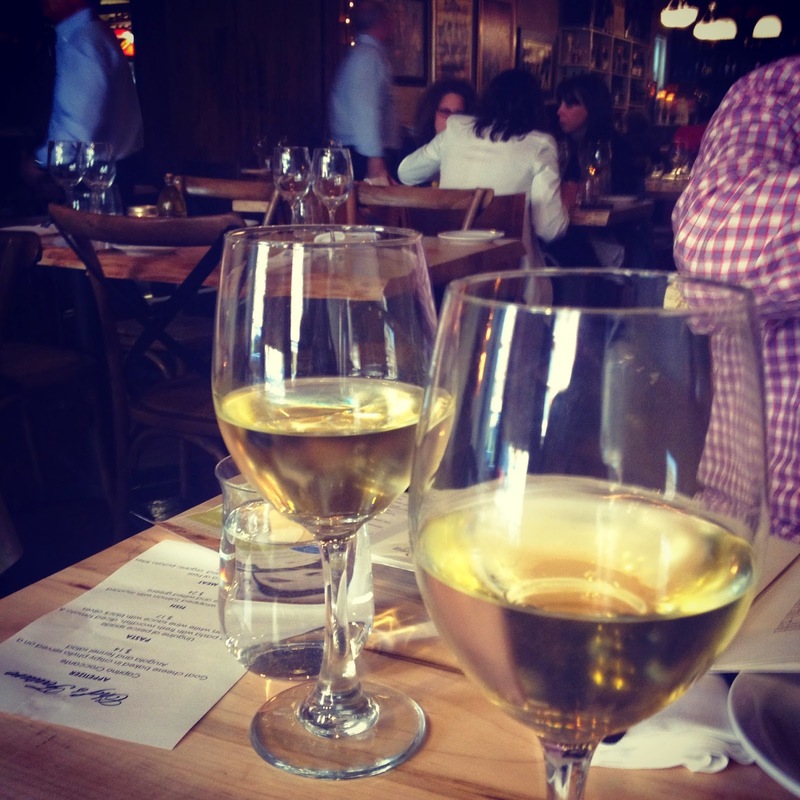 I can honestly say that our experience at Tutto Pronto was wonderful. As I mentioned, the staff were amazing and the food was even better! We enjoyed our stay so much that I think we were the last to leave the restaurant! I'm very much looking forward to going back and trying even more off of their great menu. Packed house when we arrived at Tutto Pronto. We were there for closing! Tutto Pronto is great hidden gem that deserves to be recognized for great service and remarkable food. It's a great spot for a special date-night, or even just a dinner out with friends. While we were there we saw (and sang-along with) birthday celebrations, family dinners as well as many tables on what looked like to be dates. You can follow Tutto Pronto on Twitter and Instagram as well as like their Facebook Page. Disclaimer: Dinner and drinks were comped for our visit, however - as per usual, my views are entirely my own. The food was spectacular, as was the service and I will definitely be back!